So, Mr BeBe and I ventured out this evening to see the new James Bond film. We were very excited to be spending some time together, but, I think the whole of our town must have been feeling a bit thrifty and had also taken advantage the 2-4-1 Wednesday as the showing was sold out. Oh no! So we had to toddle back home and have a cup of tea instead. Rock and fricking Roll! Oh well we'll just book tickets for the weekend instead. I took some pics of what I wore anyway... See always thinking about you guys... Ha ha!! 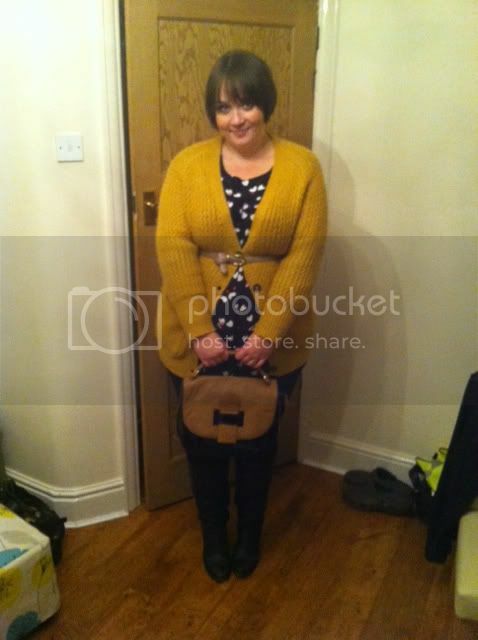 I wore my Clements Ribeiro heart print top, chunky mustard cardi, leggings, heeled knee high boots and cute satchel bag. 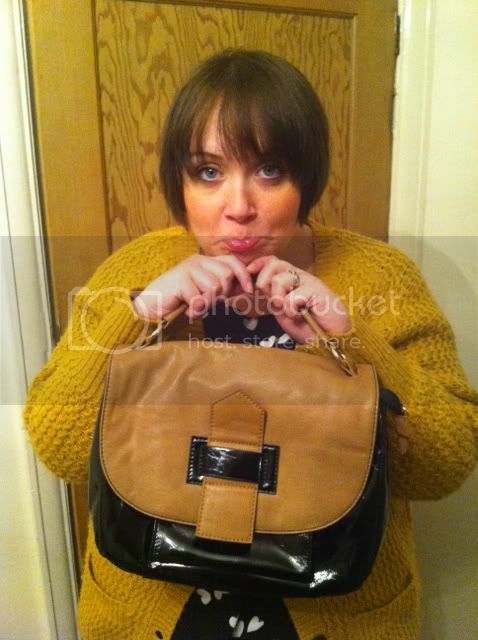 All very old but wardrobe favourites! I wanted to be comfy for the cinema but still cute, and the heels for a little bit of sexiness. You're so cute! 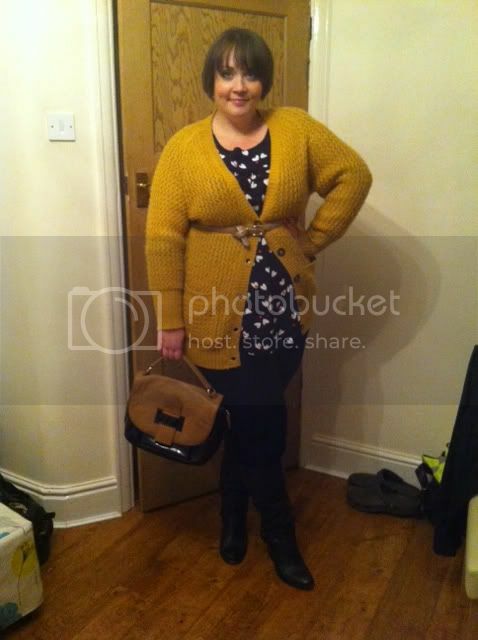 Love the colour on the cardigan! 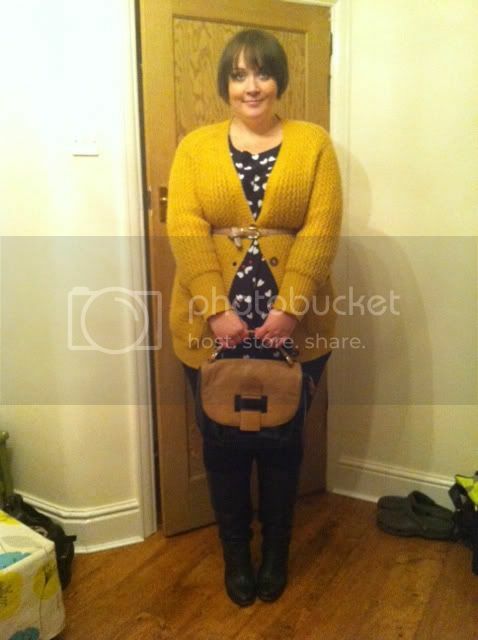 Chunky, mustard, and cardigan are the three best words ever put out into the universe. Love this outfit! perfectly autumnal hope you manage to see the movie soon, its very good!